When coping with the aftermath of an injury, it is difficult to know where to turn for help. 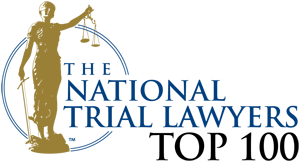 Powell, Powell & Powell is a family-run law firm that has been representing Florida residents injured in accidents for more than 60 years. Our firm is focused on providing legal assistance to victims recovering from an accident or grieving the death of a loved one. With our breadth of experience representing clients in all types of injury claims, our personal injury attorneys provide the knowledgeable and compassionate legal representation you deserve. Our family is here for your family after an accident and injury occurs. Our firm was first established by Gillis E. Powell Sr. in 1951, but the pursuit of justice has been a family tradition. Our family has grown up with a strong belief that the legal system is here to help those who need it. The legal profession is a calling in the Powell family. Generations of our family members have served as judges and lawyers. Our legal team has helped many clients avoid going to court by negotiating comprehensive settlements with insurance companies. Insurers know us as passionate advocates for all clients we represent and they are often willing to come to the table with a fair offer because they know how hard we fight. If the insurance company does not offer you the money you deserve, our personal injury attorneys are also experienced litigators ready to carry the battle for justice into the courtroom. 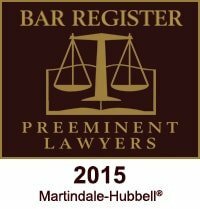 Powell, Powell & Powell has received an AV Preeminent Rating from Martindale-Hubbell(R) Peer Review Ratings because of our high ethical principles and professional ability. We have earned our reputation for compassionate and skillful client service because we treat every single case and every single client as our most important case and client. You deserve a passionate advocate on your side when you struggle with the aftermath of an injury, and a personal injury lawyer at our team will be the strong voice for you within the civil justice system. To recover compensation, the injured victim has the legal burden of proving the defendant was responsible for the accident. We believe solid preparation is key to making a successful claim. Whether we are presenting a settlement demand to the insurance company or presenting evidence to a jury, we are committed to making arguments that will advance your right to justice. Social Security Disability Benefits: We can assist with initial applications, appeals, denials of benefits and other legal issues that arise if you cannot work and need disability income from the Social Security Administration. Our legal team also helps veterans receive disability compensation. Contact us to learn about your options. Criminal Cases: Sometimes bad things happen to good people. If you find yourself facing criminal charges, our legal team can assist in your defense. Our attorneys have successfully defended hundreds of clients in both felony and misdemeanor cases, and we have the experience and resources to take your cases to trial. We will fight for your rights. Our attorneys will be there every step of the way – making the process a lot less scary. Construction Claims: No dispute is too small when it comes to construction work. We can work together to settle disputes about construction contracts, the quality of work, or payment of contractors or sub-contractors. Attorney James G. Clark has a bachelor’s degree in building construction and worked in the construction industry for 8 years before earning his law degree. He offers free consultations in all construction cases. Our goal is to be here to help you with all of your legal needs. You deserve an attorney you can trust, and our family is always here for your family. At Powell, Powell & Powell, we approach every case as a chance to serve our clients and make their lives easier. We understand the future is uncertain when you have been badly injured, when you cannot work due to a disability, or when you have been charged with a crime. Our goal is to help you move forward. It is our responsibility to do everything we can to see that justice is done. Call today to schedule a free consultation with a personal injury lawyer on our Crestview legal team to learn more about how we can help. Our attorneys are available to answer questions throughout the duration of your case and we vow to communicate regularly with you about your legal options so you can make informed choices in a timely manner. To learn more, call today: 850-682-2757.